The craze among people for travelling is increasing and internet is helping them and playing the major role ingiving the exposure to travellers for places to visit. As the people have started travelling a lot unlike earlier hence the market serving the tourist have expanded. Best of the travel services and stay services are available with tourist nowadays and similarly places to visit have also increased and improved in their appearance. There are many well know cities in the world which are in the list of touristsbecause of the attractive places they comprise of. Sydney is among such city which attracts many tourists. Sydney opera house, Sydney harbour bridge, Bondi beach are among few attractions in Sydney and nowadays Sydney is gaining popularity for its street art. Street art in Sydney is getting famous through the hashtag its getting on Instagram. The love for street art are increasing and acceptance among people for street art has increased in recent years. People do love to visit such places where they can get to see awesome street art work. Artist are painting such street art which convey the message of self-love and self-empowerment. 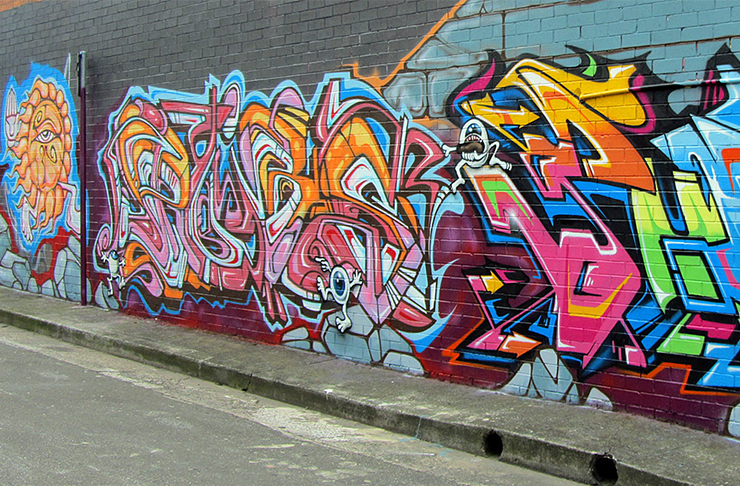 In Sydney, local artist can be seen working as tour guides for visitors of street art. There are many lanes in Sydney which are totally covered with artist work of street art and people do visit these streets. Street Artist do serve a lot of audience and they try to make sure of making the attractive artwork.